Choices Magazine, a publication of the Agricultural and Applied Economics Association (AAEA), has my new commentary: "The Nutrition Title’s Long, Sometimes Strained, but Not Yet Broken, Marriage with the Farm Bill." 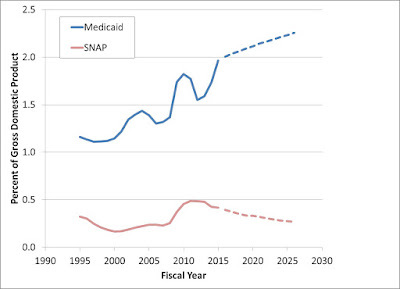 It describes the divergent budgetary forecasts for two major safety net programs, with falling spending for the Supplemental Nutrition Assistance Program (SNAP) and rising spending for the much larger Medicaid program. Source: Author’s computations based on Congressional Budget Office (CBO), 2016. On the one hand, as they plan the next farm bill, legislators may accept falling SNAP costs and rising Medicaid costs, on grounds that the funding lost from SNAP still is going toward another important safety net program. On the other hand, legislators could reason that preventing poor nutrition and chronic disease makes more sense than treatment after the fact. 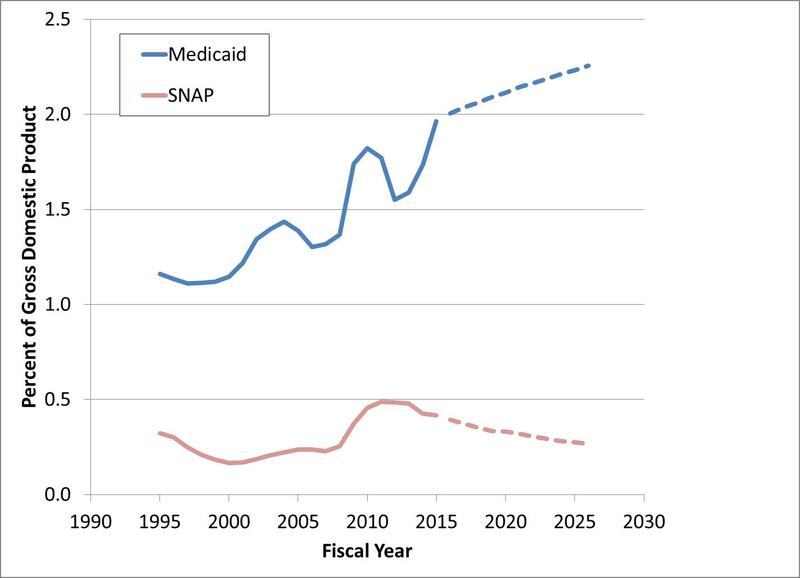 From the latter perspective, providing extra resources for SNAP to address unhealthy eating and diet-related chronic disease may be a worthwhile investment if it slows the growth of Medicaid costs. What will happen next? We can only guess. Medicaid addresses a much, much broader range of potential health concerns than the food security mission of SNAP. No amount of additional funding to SNAP could ever replace the usefulness of Medicaid in real-life situations. The much bally-hooed disease preventive properties of fad foods is purely speculative and grossly overestimated. Much too reckless an experiment to simply shift funding from health care to food philosophy. Confirm your kooky food hypothesis with real science, on your own dime -- then maybe we all can appreciate how shifting funds will definitely benefit us (not just hope maybe something good might happen). Foodie elites are self-absorbed with an overblown ideology, a bizarre belief that food is simultaneously the root cause and root preventive of any and all diseased or dysfunctional states. Nothing, nothing could be farther from reality, of course. 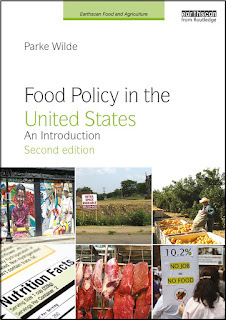 The loopy food as medicine meme is politically and financially motivated -- it sells books and brings speaking fees for armchair agriculture critics like Michael Pollan and Marc Bittman, it swells the coffers of quacks like Joe Mercola and Dr. Oz, it resonates with alarmists and conspiracy theorists keeping them amused and satisfactorily enraged, it even pushes cushy tenure positions and lavish salaries to elite talking head policy wonks methodically cloistered from the common experience of the silent majority in Ivory Towers across our fair land. But the foodie ideology is not proven to prevent and cure cancer, traumatic injuries, birthing complications, substance abuse, geriatric maladies, or much of anything else, for that matter.